You plan to go to Las Vegas in United States in march : check the weather and seasonal norms below. The weather in Las Vegas in march comes from statistical datas on the past years. You can view the weather statistics the entire month, but also by clicking on the tabs for the beginning, the middle and the end of the month. The rise in temperature, combined with the regression of precipitation plays in favor of the weather in Las Vegas throughout March. Even if the nights are still cool, the days are generally pleasant and they are often accompanied by a gentle heat by midday - allowing for a pleasant stay. The first weeks of the month are characterized by cool mornings and misty days. Fortunately, the sun which is still on the program - despite some cloudy passages - promotes a comfortable feeling all day long. To be comfortable, do not forget to cover properly before going out at night. The weather throughout March in Las Vegas during the second ten day period is clearly improving. Thanks to the rise in temperature, people who are less sensitive to the cold can wear light clothes - as long as the sun continues to illuminate the days. Rains are virtually non-existent at this time of the month. A small wave of freshness affects the climate throughout March in Las Vegas during the last ten days of the month. Despite the superb sunshine that clarifies the days, the mornings remain cold and midday is barely comfortable. For personal comfort, bring warm and comfortable clothes. The climate in march in Las Vegas is dry ; it does not rain often (7mm of precipitation over 2 days). The climate quite enjoyable in this city this month. The thermometer averaged maximum of 22°C. The seasonal minimum is 11°C. Thus, the mean temperature average on this month of march in Las Vegas is 16°C. These temperatures are far removed from those records observed in Las Vegas in the month of march with a maximum record of 32°C in 2015 and a minimum record of -1°C in 2010. You can expect to have about 22 days with temperatures above 18°C, or 71% of the month. On this month of march, day length in Las Vegas is generally 11:57. 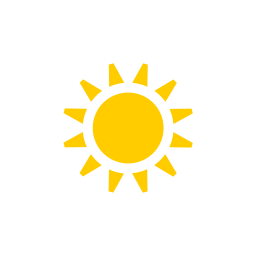 The sun rises at 06:51 and sunset is at 18:48. With good weather conditions, the month of march is a good month to go in Las Vegas. Check below seasonal norms These statistics are compiled from the weather statements of the past years of march. Weather data for Las Vegas for march are derived from an average of the weather forecast since 2009 in Las Vegas. There is a margin of error and these forecasts are to be considered as general information only. The weather in Las Vegas can vary slightly from year to year, but this data should limit surprises. So you can pack your bags or check for the best time in year to go to Las Vegas. Best time to go to Las Vegas?